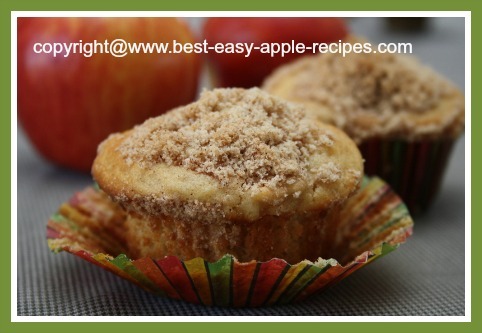 These Muffins with Apples make amazing, moist, fresh Apple Streusel Muffins from scratch. 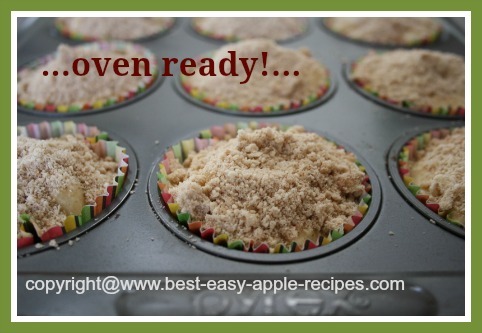 Who can resist a scrumptious muffin, warm from the oven, or reheated in the microwave? In a small bowl, combine the flour and the cinnamon. Cut in the butter and mix together with a fork, or your fingers. Stir in the brown sugar, until mixture resembles coarse crumbs. Set aside. 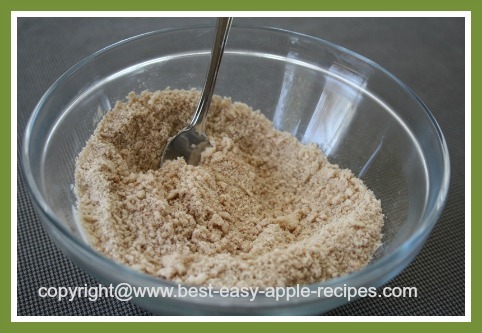 In a large bowl, combine the flour, baking powder, cinnamon, salt, and the brown sugar. Stir in the chopped apples. In another bowl, lightly beat the eggs with a fork or a whisk, and then beat in the milk and the oil. Add the egg mixture to the dry ingredients, and stir gently just until combined. Do not over mix. 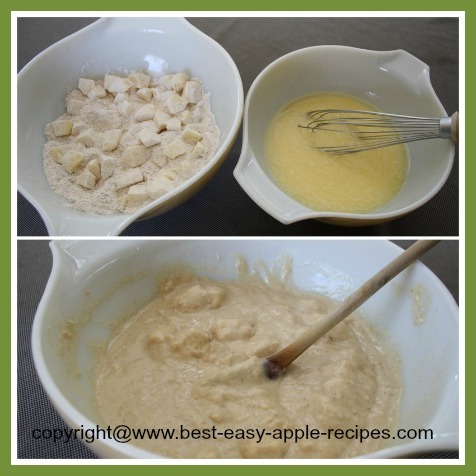 Spoon the muffin batter into a greased or paper lined muffin tin, filling about 3/4 full. 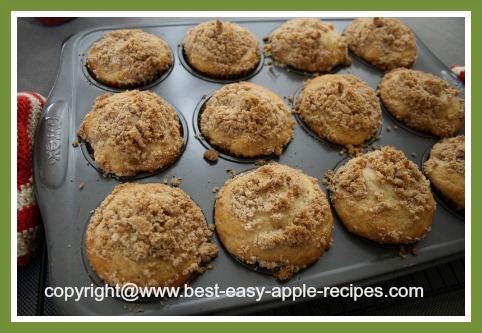 Sprinkle the streusel topping mixture over each muffin. Bake at 400° F for about 15 - 20 minutes, or until risen, golden and firm to the touch.